We love vintage Japanese beer art. In it, most often, a lovely Japanese woman is depicted wearing classical Japanese attire. Here the woman is our own Sayuri. 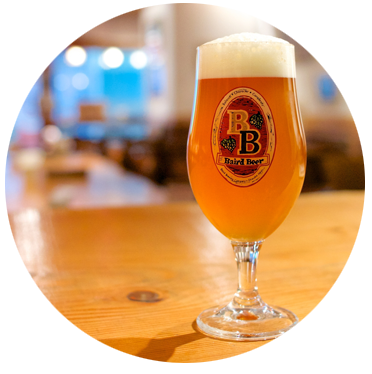 The traditional Japanese word for beer is 麦酒 (bakushu), included here in the old-school right-to-left reading order. 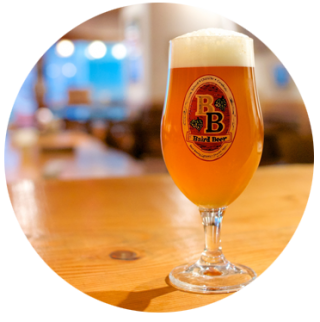 The words Baird Beer too are written from right-to-left, not in our customary romaji but in traditional Japanese katakana (the phonetic system used for foreign words). This label is our tip of the cap to vintage Japanese beer art design. Love is life’s greatest gift. When you find it, seize it! Don’t just hold on to it; honor it and reciprocate it with as much creative passion as is within you. Brewing beer is an act of love – the love of beer itself. Some brewers love beer more than others, and the difference can be tasted. In recipe formulation, when the brewer’s love for beer is joined by his love for someone or something else, this added affection too becomes manifest in the flavor. Beers such as this are rare. 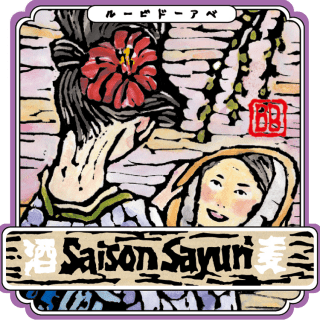 You will find a good example, though, here in this lovingly crafted Belgian-style Saison, inspired by and dedicated to the greatest love of my life – wife and business partner Sayuri. This 2019 version is spiced subtly with a combination of three locally grown citrus fruit.